Wood is one of my favourite materials. We have oak furniture all around our house, and I just love the way it looks and feels. But I must admit, I’d never considered a wooden wrist watch until recently. Isn’t it beautiful? 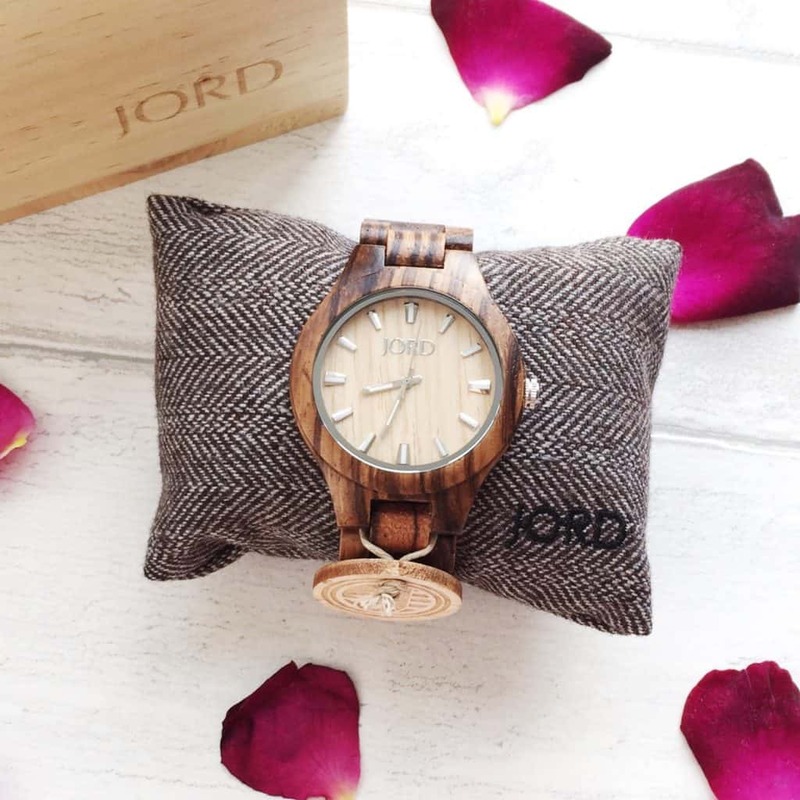 The watch arrives on a little herringbone pillow, in a pretty wooden box. It comes with a cleaning cloth, instructions and some extra links, and I couldn’t wait to get it on my wrist! 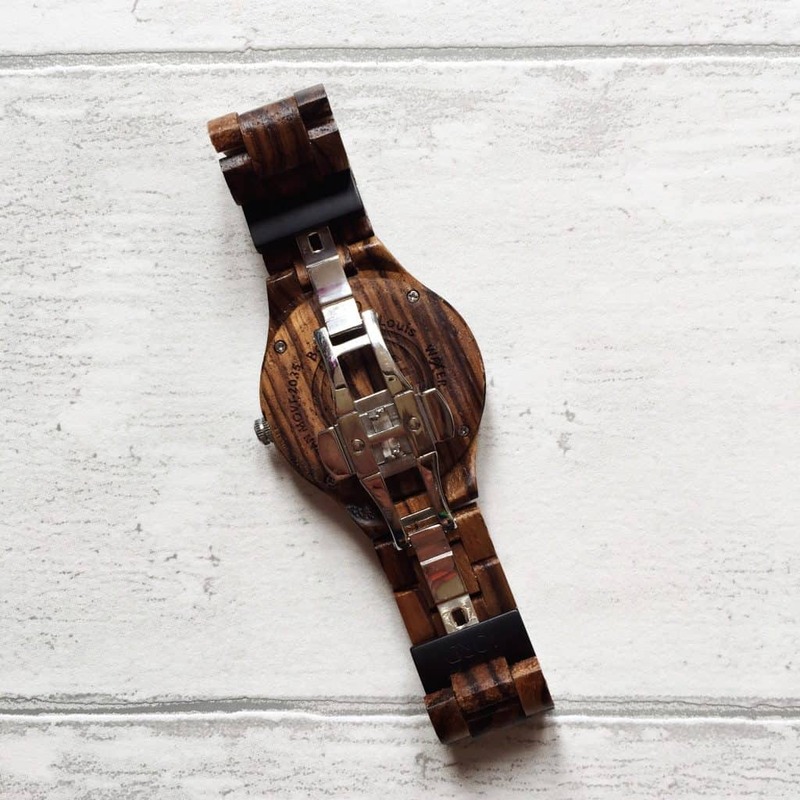 I chose the gorgeous Fieldcrest Zebrawood and Maple Wooden Wrist Watch, which is $139 (about £105) with free worldwide shipping. 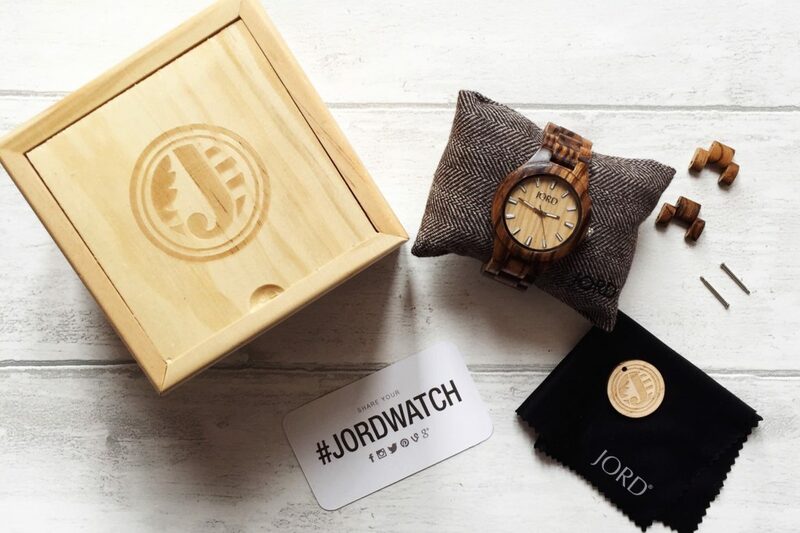 I’ve never bought a watch online before, but JORD make it easy, with a print out you can use to measure your wrist. I have really skinny little wrists so I also measured an old watch of mine to compare to the case measurements on the website, as I didn’t want to get one that would be way too big for my hand. I love a chunky watch but I didn’t want to go overboard! The watch fits perfectly, but they also sent a couple of extra links, so if it had been too small, I could add them in. 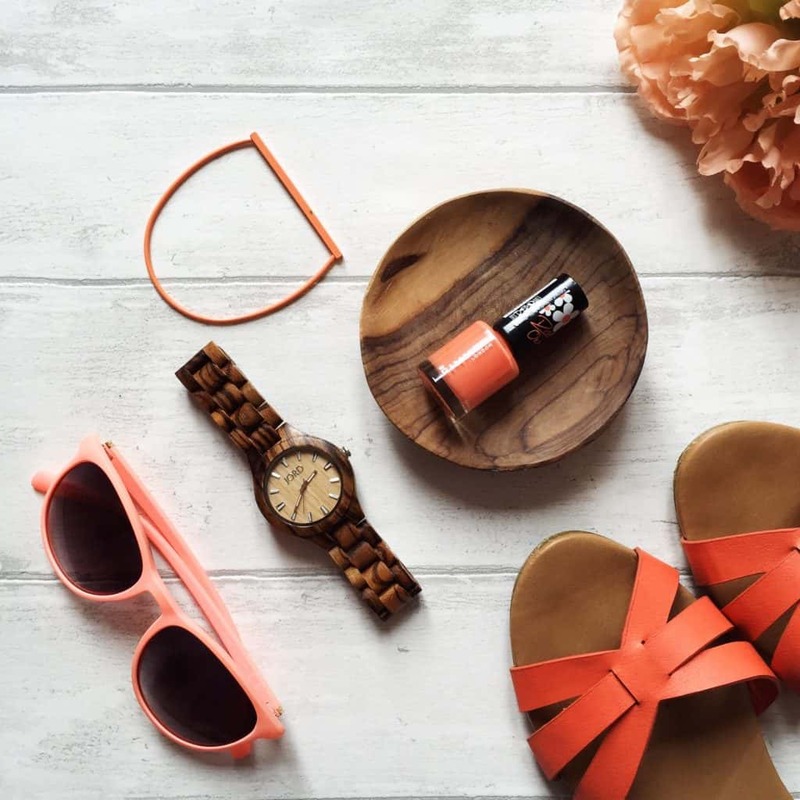 It goes really well with my coral nail varnish and bracelets, so I have been wearing it every day. You can dress it up, or down so it is a great all rounder. The watch comes from America and took two and a half weeks to arrive, but it was so worth the wait, especially as delivery is free. The watch is really well made, and so comfortable. Compared to my old metal watch, it’s a dream to wear – lovely and light, and I don’t have to take it off when I’m typing. As I am trying to live a more sustainable life, I love that it is made from wood, a natural, renewable material. I love the contrast between the two woods, and the simple silver and white indices. It has a black branded clasp that’s easy to use. This is how the clasp looks when it’s open. The watch is nice and chunky, but light. 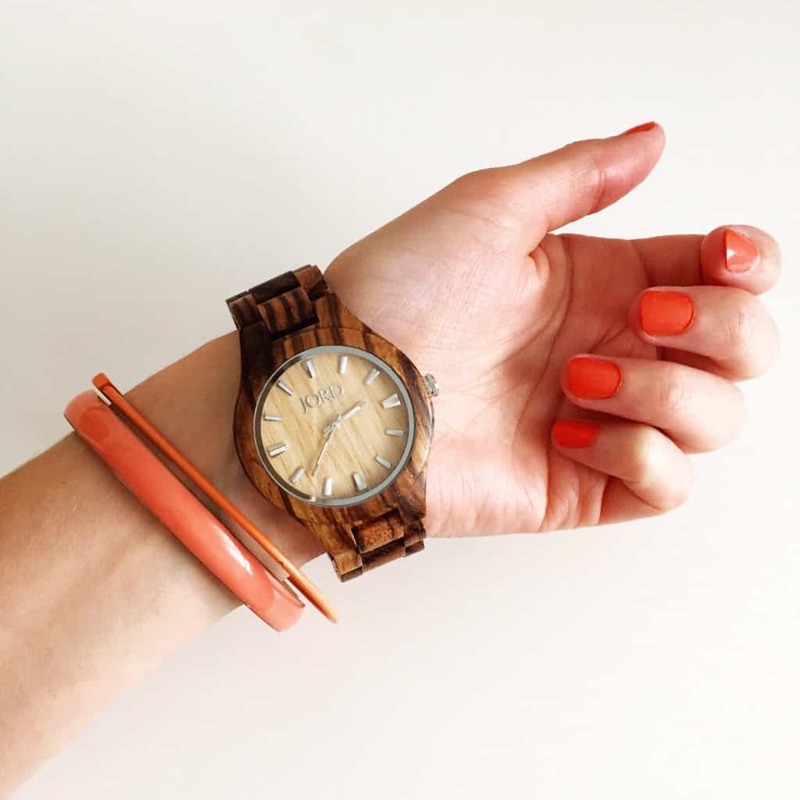 I’ve been styling my watch with plenty of coral accessories and I think it’s the perfect look for late summer. I’ve had lots of complements, and people are very keen to try it on! 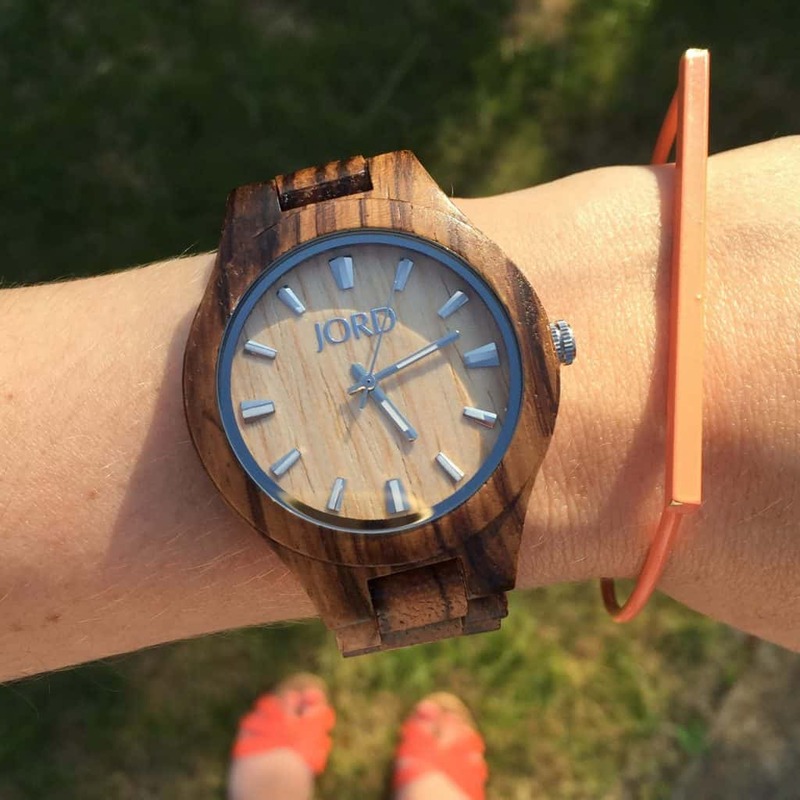 Oh I totally need to check these watches out for my wood obsessed carpenter husband! 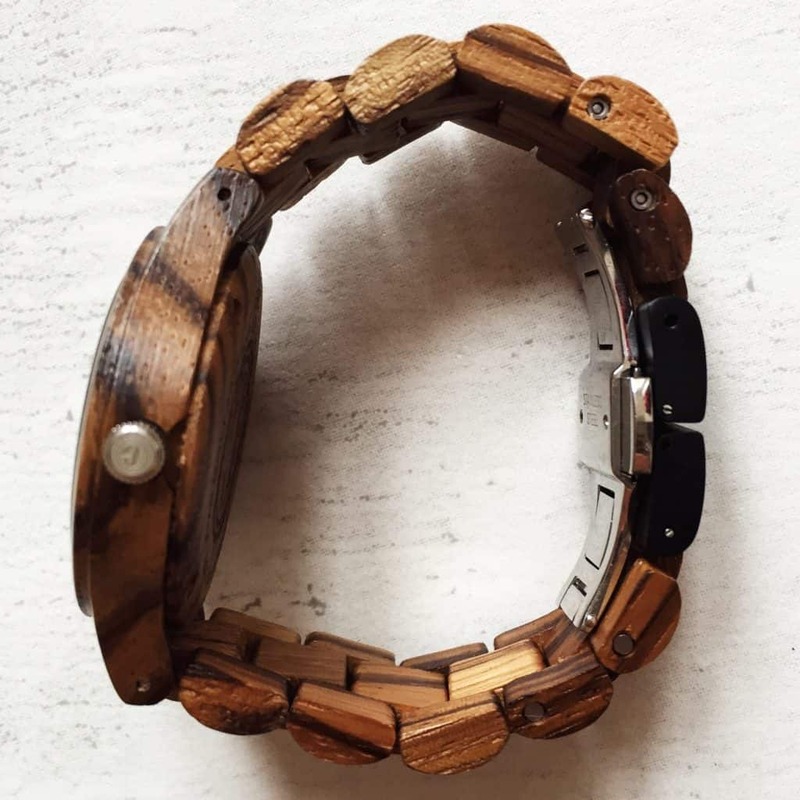 I don’t think I’ve ever seen a wooden watch like this before – it is beautiful! I love how you have styled it too! This is gorgeous. 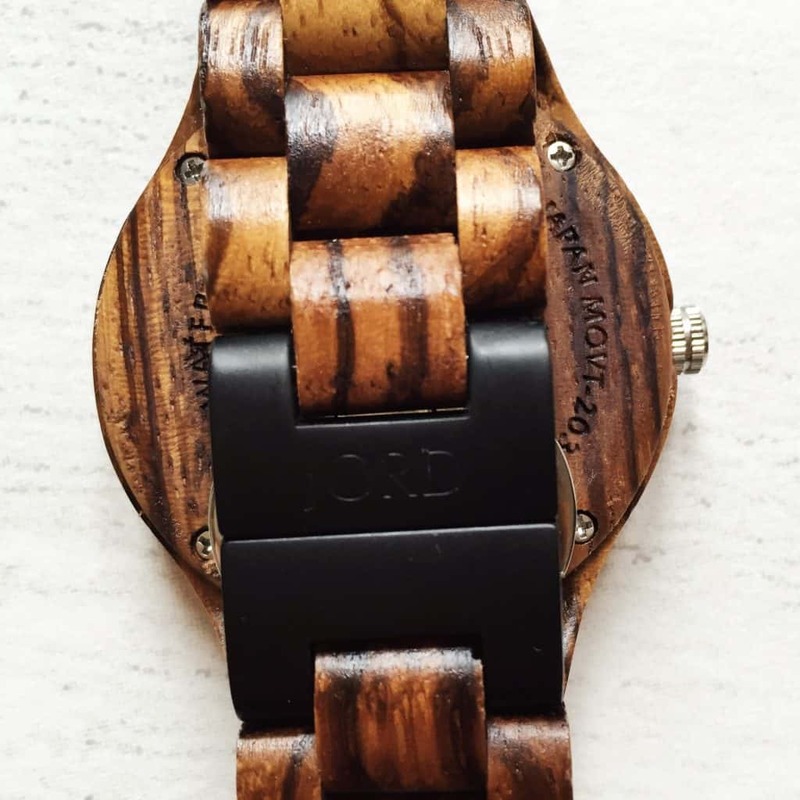 I have seen and heard about these watches and they look so fantastic. I love your one. the photography os great too! 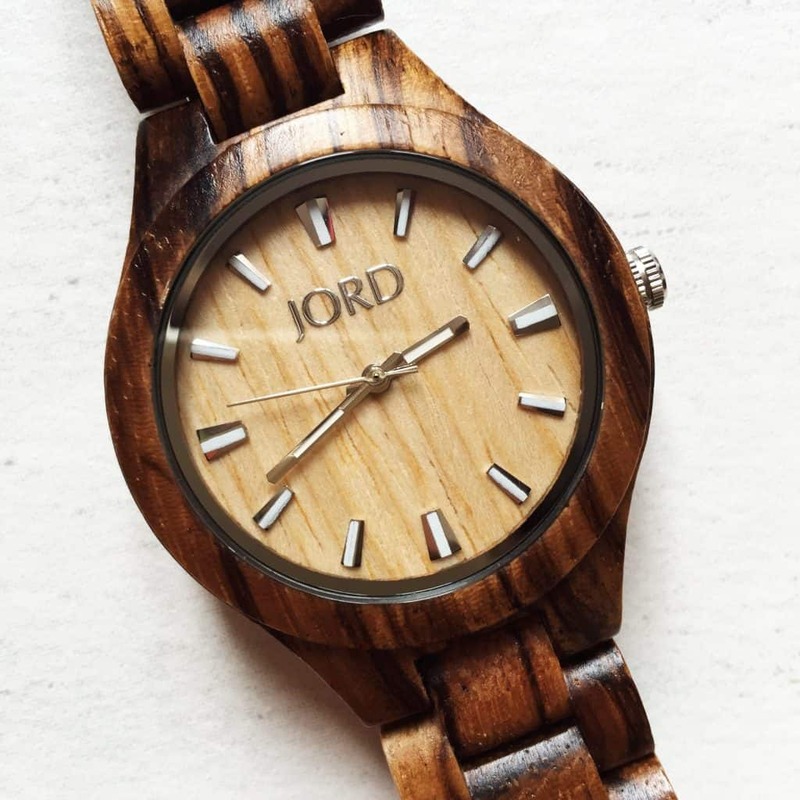 I’ve always LOVED the look of these JORD watches. I so want one for myself. Perfect for the late summer/autumn transition too!